In 1994, following the death of my maternal grandfather, David Gudes, I received his entire library of Jewish books. 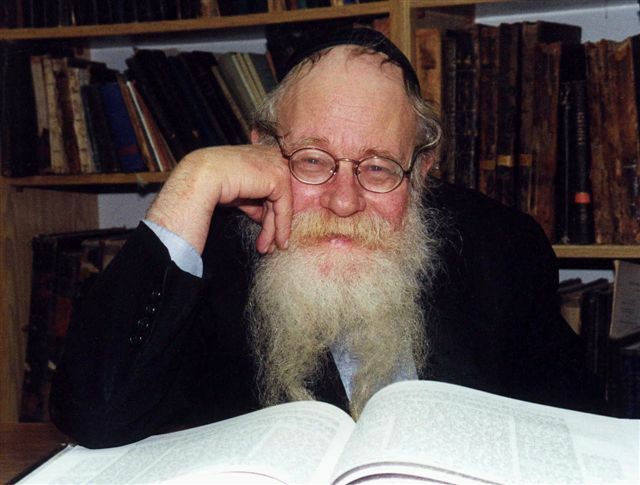 In his collection were all of the volumes of Rabbi Adin Steinsaltz's translation of the Talmud into English that had been published thus far. These beautiful light-yellow volumes prompted me to start learning Talmud as a college freshman. At first, I would sit in my dorm room by myself and try to make sense of the Aramaic with the assistance of Steinsaltz's translation. Then I began learning with my friend and first chavruta (study partner) PJ Cherrin in the library of the campus Hillel. Those Steinsaltz volumes proved helpful as I began to navigate my way through the "Sea of Talmud." In rabbinical school, at the Jewish Theological Seminary, the Steinsaltz English edition was banned from use because it was considered to be a crutch for those who were too challenged by the puzzling Aramaic of the text. In other, more traditional, circles Steinsaltz was shunned because he altered some of the long-standing conventions when he placed his commentary in the space traditionally reserved for the commentator Rashi and changed the traditional layout and pagination in his translation. While I wasn't allowed to use my grandfather's Talmud set with Steinsaltz's English translation, I often referred to the Steinsaltz translation of the Talmud into understandable Hebrew. The addition of vowels, punctuation and a contemporary commentary made Talmud study much more accessible for me and for many thousands of other students. Steinsaltz’s undertaking is coming to an end with his publication of the final remaining Tractate (Chulin) into the more manageable Hebrew (his English translation ended after only a dozen or so volumes were complete). In celebration of this milestone, Rabbi Steinsaltz has declared this Sunday to be a "Global Day of Jewish Learning" to raise awareness about the joys and spiritual reward of Jewish study. Through Rabbi Steinsaltz’s organization, The Aleph Society, and with the leadership of Detroit native Rachel Weiss Berger, a website has been set up for individuals to locate resources for self learning. I am excited to be one of the local teachers who will lead a session on the "Global Day of Jewish Learning." My session will explore the theme of water as it runs through Jewish texts and tradition. Water is an appropriate subject for a day when the world celebrates the work of a man who helped the Jewish people navigate through the Sea of Talmud. I love that I read about Adin Steinsaltz and Sparky Anderson in the same blog..